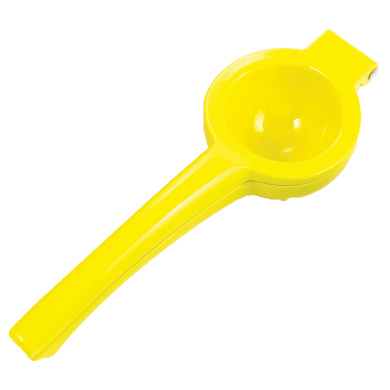 This funky easy to use lemon squeezer is your ideal one step away from pip and pulp free juice. It is designed to squeeze every last drop of juice from your fruit. Simply cut your Lemon in half, place the lemon half cut side into the squeezer, squeeze handles together to press the fruit and extract the juice. 75 x 50 x 220.